Before we get to our picks this week, a word on some other important recommendations announced late last week. The big news in the Ontario beverage alcohol industry was of course the government’s announcement to shake up The Beer Store, the foreign-owned monopoly that accounts for 80% of beer sales in Ontario, forcing it to give local brewers better access to market. The government is also moving forward on the recommendation to allow the retail sale of beer in up to 450 grocery stores across the province. The move stems from a report commissioned by the government to find ways to generate more revenue from provincial assets. On the surface it looks like a big change (and Wynne touts it as the biggest change to alcohol retailing since the 1920s when the LCBO was created), and it’s been a long time coming, but underneath the recommendations are a typically Canadian assemblage of compromise and concession and a game of shells. And consumers appear to be far down the list of interests to please. But it’s better than nothing. It’s staggering to think that successive Ontario governments over nearly 90 years could have allowed The Beer Store (TBS), which is owned by Molson-Coors, Labatt (owned by Anheuser-Busch InBev) and Sleeman (owned by Japan’s Sapporo), all with head offices outside of Canada, to exist at the expense of local enterprise. For the small boys, access to market has always been the number one concern. Now the government intends to require TBS to allow local brewers to buy shares in the distribution monopoly, which might suit the not-so-micro breweries like Mill Street or Steam Whistle just fine, but just how many truly micro-brewers will be able to play in the game remains to be seen, and many remain skeptical. In any case, apparently no more than 20% of shares will be offered, keeping the foreign ownership intact. The government is also insisting that TBS invest $100m over four years to modernize what is surely one of the most drab retail environments in the developed world. But I’d wager that consumers are more interested in convenience and selection than fancy beer shops. How about allowing the Ontario Craft Brewers Association to open up their own shops? That would be true and fair access. “This would immediately increase distribution, visibility and availability of local craft beers as well as putting the profits back into the brewers to foster their growth and economic development”, says Dave Reed of the Forked River Brewing Co. in London, a recent micro start-up. The plan to sell beer in grocery stores is also promising, but not as revolutionary as it seems, nor as helpful to small brewing businesses as other changes might have been. The Advisory Council has recommended that the LCBO be the sole beer wholesaler to grocery stores, which suggests that breweries will still need to churn through the administrative mire of the LCBO, as they already do for the privilege of selling through their retail network, before they can access grocery stores. Essentially, its looks like a monopoly expansion via the franchising of LCBO beer sales, rather than a true opening of the marketplace. And there are still a lot of unanswered questions on how it will happen. “Will we run into Listing Fees? Shelf Fees? What products will they want to carry? They mention that 20% of shelf space will be reserved for Ontario craft beer, but how much of that will be for smaller brewers who perhaps cannot supply all their stores in Ontario?”, Reed asks. There is also the risk that the move will only create a collection of smaller regional monopolies, as the equitable distribution of such precious retail beer licenses will be fraught with challenges. For this reason, don’t expect to see much beer in grocery stores anytime soon. “This new channel should be phased in over time with up to 150 outlets in operation by May 1, 2017”, says the Advisory report. Things move slowly in Ontario. I’m reporting this not only because I drink beer, but also because the same discussion is playing out over changes to wine retailing, of keen interest no doubt to readers. The same Advisory Council is still currently reviewing options for wine distribution, and further recommendations for changes to the LCBO are forthcoming. The Ontario wine industry is naturally observing the situation with great interest. Most local “craft” wineries complain about the access to market, which, outside of the winery itself, a handful of farmer’s markets, the lottery of an LCBO listing or costly hand-to-hand guerilla sales to restaurants, doesn’t exist. Richard Linley, President of the Wine Council of Ontario, is “encouraged by the recent report on improving retail conditions for Ontario craft beer”, and trusts that “similar changes will be made for wine retailing in Ontario”. Ontario VQA wineries, he states, want an opportunity to compete, “but in a growing market that gives wine consumers new choice and increased convenience”. But wine is a different matter, with countless large, well-funded foreign companies, not to mention regional and country associations, chomping at the bit for access to a piece of our pocketbooks. So don’t expect an all-VQA wine shop or wine section in a grocery store anytime soon. Allowing grocery stores to sell wine will raise all of the questions that beer retailing has raised, and many more. Franchising LCBO selections to grocery stores may improve convenience, a welcome change, but it would obviously not improve selection, either for Ontario or out of province/country wineries. Ed Clark, principal author of the report, stated on the CBC that the pre-NAFTA, grandfathered wine retailing licences enjoyed by a very few large Ontario wineries, the ones that bring you the Wine Rack and The Wine Shop kiosks and stores, need to be protected in any future changes to wine retailing. Anything that favours the sales of Canadian products is highly valuable, he said with patriotic grandeur. I wonder if Mr. Clark has any idea that the majority of the non-VQA wine sold in those shops is actually imported foreign bulk wine, blended and bottled in Canada. Are those licences really worth protecting? How about converting them to real private wine shop licences, with a requirement for minimum Can-con? I’m sure Harper can finesse that agreement with his delicate diplomacy. “Allowing for beer and wine in grocery stores doesn’t go far enough toward allowing for true, independent retail which would offer consumers the best selection of wine, beer and spirits”, writes Heather MacGregor, Executive Director of Drinks Ontario, the association representing the majority of beverage alcohol agents and suppliers in Ontario. And I agree. I’ve said it before and I’ll say it again: private, independently run wine shops in Ontario (with the parallel existence of the LCBO) would increase consumer selection, provide access to market for local, out of province and foreign wineries hitherto excluded, create jobs, generate revenue for the province, download some of the retailing costs to private business instead of taxpayers, and well, make people happy. The model exists. No need to write yet another report. Your comments? Note: the opinions of the author don’t necessarily represent the views of WineAlign nor any of its contributors. If you’re still with me, let’s get on to this week’s recommendations. The May 2nd VINTAGES release sees a terrifically well-chosen selection of German wines arrive just ahead of the “Next Generation Germany” taste event in Toronto on May 21st. David Lawrason will be leading a trade tasting in the afternoon along with German Wine Queen Janina Hahn, exploring new developments and celebrating the latest generation of German vintners to crush the grape. I had the pleasure of the queen’s company for a couple of days this past March as I toured from Mainz down to Baden in search of volcanic terroirs and fine wine. But aside from the queen’s beauty, I was most struck by the change in attitude that has occurred over the last few years in Germany. Not so long ago, German vintners (like many Canadians), were almost apologetic about their cool climate and their “struggle” to ripen grapes, especially red grapes. That was during the bigger-is-better era of wine production. But as the whimsical tide of fashion invariably changes, cool climates have become all the rage. Now, warm regions bend over backwards to be cool, going ever higher up mountain peaks or further out to the coast, stopping only short of floating vineyards on barges in cold seas. German vintners are now delighted to trumpet their natural coolness, and are enjoying a return to mainstream fashion. Truthfully, German wines haven’t changed radically. They didn’t need to. The wine was always good, and many estates have multigenerational track records to prove it. So it’s not you, Germany, it’s us who have changed, and we’re glad to have you back. The renewed self-confidence has had an impact however on the next generation. According to German Wine Institute chief Stefan Schindler, enrolment in viticulture studies is exploding. And it’s not just the sons and daughters of winemakers, but also many students from non-traditional wine families. A third winemaking school has opened in Neustadt, and all the courses are fully subscribed. Winemaking, too, has become cool. 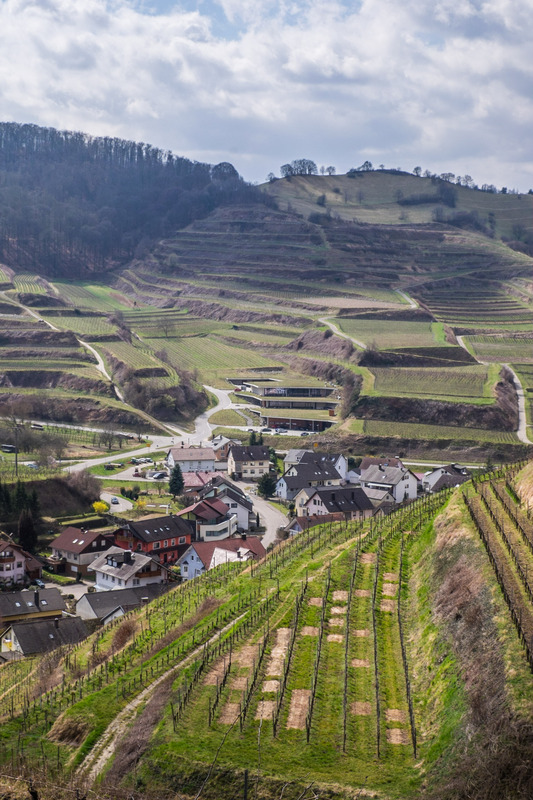 The future of more unapologetically cool climate, great German wine seems assured. The selection offered on May 2nd includes some new and welcome names to the market, with most worth checking out. There’s also plenty of Alignment amongst the crü, so if you’re not afraid of being cool, there are several low-risk, high-pleasure options, and not just Riesling (though there’s brilliant riesling, too). My only regret is the absence of any German red wines, especially pinot noir, which is rapidly gaining prominence in Germany and abroad for good reason. We’ve also included a handful of smart, miscellaneous red suggestions in this report, since not all wine can be white. David follows up next week with an equally exciting range from New Zealand and the customary spring rosé collection. John Szabo – Triple alignment on this terrific riesling from Molitor, unsurprisingly, one of the Mosel’s leading producers. It’s at the drier end of the spectrum, and reverberates on and on with terrific energy and vibrancy. Best 2015-2023. David Lawrason – Young riesling is aromatically challenging off the top. Then add in Molitor’s aromatically reserved style. The result is a slow starter on the nose. But this is a very compact, well balanced and in the end riveting riesling, that just shouts Mosel in its own stern way. Sara d’Amato – A serious riesling of tremendous value. The rather heavy stony soils of Klosterberg with high iron content produce mineral-driven and earthy wines with delicate fruit and great syle. 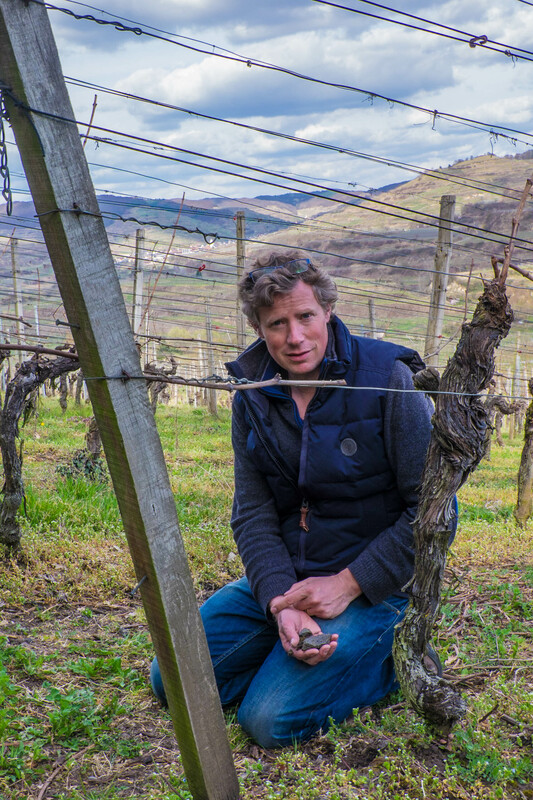 John Szabo – Like David, I spent an afternoon with young Konrad Salwey last month and believe him to be making some of the Kaiserstuhl’s, and all of Baden’s, best wines. This pinot gris represents the (excellent) entry level, focused on refinement thanks in part to a change in philosophy as of 2011. “I was caught in the German quality system. Very often we left the grapes out too long. We could have gotten much more elegance if we had harvested earlier. This is the result of the shift. Best 2015-2020. David Lawrason – In 2014 I spent a fascinating afternoon tasting is the cellars of the inquiring, intense Konrad Salwey. It started as a gentle fencing match as we felt each other out, but after a couple of pinot gris (before the pinot noirs) I knew I was in the company of a winemaker extraordinaire, and by the end of the day he was opening some great aged pinot noirs. This is lower tier in his range but very nicely done. John Szabo – Pinot blanc (aka weissburgunder), may get little airtime, but it was the variety that most captivated me by its unexpected beauty while in southern Germany. This is a fine example of its delicate floral aromatics and neither austere nor overly soft texture. It would make a superb sipping wine for spring and early summer dining al fresco. David Lawrason – I have been quietly intrigued by pinot blanc (weissburgunder) since first visiting Germany’s Baden years ago. The interest re-kindled at a tasting of German pinot varieties in Mainz in 2014. The biodynamically produced Sander encapsulates everything I love about this grape, about which I plan to write more soon enough. Don’t miss this bargain opportunity to get to know it for yourself. John Szabo – A medium-dry version that delivers all of the perfumed richness and flavour intensity one would hope for from the grape and the price category. This is tailor-made for afternoon sipping, or with richer pâtés, foie gras, spicy Asian-inspired fare or softer cheeses. John Szabo – Klumpp is a rapidly emerging star from southern Germany that I’m happy to see in Ontario after tasting some superb wines in Deutschland. This vineyard blend offers both fleshy orchard and ripe citrus fruit along with the merest hint of sweetness. Fine value in a well measured style. Best 2015-2023. David Lawrason – This shows surprising ripeness for a kabinett (almost spätlese level), with classic peach, honey and stony aromas and flavours. Really quite delicious. Markus Berres is only the 21st generation to run this family winery in Mosel, and he has gone to screwcap. Good move. Sara d’Amato – Consistently a top scoring wine, this Kabinett once again proves generous, rich and zesty with a great deal of character. So pleasurable now but hold onto it for another 5-6 years to experience the lovely honeyed, nutty and petrol flavours that come with evolution. John Szabo – While tasting wines like this I’m constantly reminded of the value that Spain offers, and it’s so very kind of them to cover the expense of storing wine for many years on top of it all for us. The reliable Marqués de Cáceres offers us a ready to drink gran reserva of tremendous complexity and superb balance, not to mention length, for a modest sum. Best 2015-2025. John Szabo – Tired of tutti frutti wines? This is for you. I love the absolutely fruitless, savoury, pot pourri-scented character of this wine, crafted in the very old school one from of Italy’s most swarthy red grapes and traditional producers on the slopes of the extinct Vulture volcano. It’s like wet, hot gravel and rusted iron. Sounds delicious, no? Best 2015-2020. John Szabo – A tidy little value offering a wallop of sweet herbs and black fruit, and excellent depth and concentration for the money. Best 2015-2019. David Lawrason – The 2010 vintage continues to impress, a vintage where lower priced, unsung chateau rise up with structure and depth beyond their station in life. This is an 11-hectare cru bourgeois estate with thirty year old vines – 60% cabernet sauvignon and 40% merlot. It has power, depth and tension. Try one now and cellar a few. David Lawrason – This is one of my personal favourites on this release, from a smallish, very enthused and engaged family winery. Barbera is never easy, but this fine somewhat juicy example builds in just the right fruit depth and complexity. David Lawrason – Once or twice a year in comes a really fine Dao. Long time readers might recognize my enthusiasm for this hilly, mineral rich region in the heartland of Portugal. This is one I would not hesitate to buy if you like nervy, wild berry-scented yet delicious reds. Sara d’Amato – High quality parcels of cabernet sauvignon, shiraz, merlot and tannat are blended to form Cathedral Cellars excellent value Triptych. Revealing, honest and ready-to-drink with compelling notes of smoke, pepper and plump, plummy fruit. Sara d’Amato – Almost entirely sangiovese, this traditional Chianti Classico is made up from Lanciola’s premium vineyard sites in Greve. A discreet and elegant wine but with a great deal of charm. Drinking optimally right now.